In this part we will explore the meaning of the 51st Shloka of Sri Vishnu SahasraNamam. Bhagavan is the protector of Dharma and He practices Dharma. He takes full responsibility for the rule of Dharma and supports it. He is commendable and eternal whose existence is never diminished or destroyed in anyway. He causes misery to those who do sinful acts or do not follow Dharma and moves away from them. He does not take cognizance of flaws of His devotees who are sincerely engaged in Him. He possesses countless rays excelling the Sun in radiance hence He is the real Sun. He is the Creator and Supreme Controller. He has prescribed the distinguishing characteristics for the pious. Note: Some versions have the form ‘Sadasat Ksharamaksharam’ in place of ‘Sadaksharam Asatksharam’ but the Namas are the same, only represented in a different order. Sri Adi Sankara interprets this as ‘Dharmam gopayati iti Dharmagup – He protects Dharma or rightful conduct in people and hence He is called Dharmagup, the guardian of Dharma’. In the Bhagavad Gita (Chapter 4 Verse 8) Bhagavan says ‘Dharma Samsthaapanaarthaaya Sambhavaami Yuge Yuge – I incarnate myself in every age for the firm establishment of Dharma’. Sri Satyadevo Vasishta observes that Bhagavan is Dharmagup because He protects the beings through Dharma systematically from the time of creation to the time of dissolution. An illustration of this is the rule that the seed comes from the tree and the tree gives back the seed, thus continuing the process of existence and survival of life forms. He gives reference to the Shruti – Treeni pada Vicakrame Vishnur-gopa adaabhyah ato Dharmani dhaarayan – Vishnu, the guardian, took three steps and thereby established Dharma’ referring to His Vamana/Trivikrama Avataar || (Rig Veda 1.22.18). The Dharma Chakram writer elaborates on this Nama by pointing out that Bhagavan maintains Dharma by rewarding those who observe Dharma (with wealth, health etc. ), and punishing those who violate Dharma (through disease, suffering, etc. ), so that they can be returned to the path of Dharma. Peace in the society, rain, good crops, and general prosperity occur when the society as a whole follows the path of Dharma; disease, earth quakes, war, looting, famine, etc. result when the society fails to follow the path of Dharma. Thus, this Nama should remind us that our adherence to the path of righteousness in everything we do all reflect in Bhagavan’s administration of His Dharma as the Dharmagup. Sri Adi Sankara’s interprets this as ‘DhramaaDharma viheenopi Dharmamaryaadaa sthaapanaartham Dharmameva karoti iti – Even though He is Himself above Dharma and Adharma, He rigorously observes the path of Dharma so that He sets an example for others to respect the code of Dharma’. Meaning: Ordinarily flawless Dharma, which is without beginning or end and all-pervasive, cannot be attained without His Grace even by those who have great knowledge. Bhagavan induces people towards the path of Dharma for their own benefit, and without any benefit for Him, out of His sheer Mercy. Sri V.V. Ramanujan refers us to NammAzhwar 5.6.4 – ‘Seivaargalaic-ceivenum yaane – I am the motivation behind the actions of everyone. Those who follow Dharma do so because of His anugraha. Meaning: O’ Partha, there is no work prescribed for Me within all the three worlds; Neither am I in want of anything, nor have I a need to obtain anything and yet I am engaged in work. 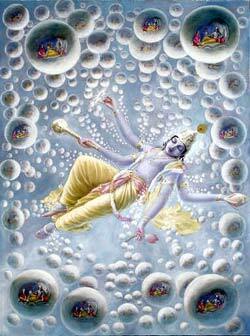 Meaning: If I do not engage in work, O’ Partha, everyone would simply emulate me. Meaning: If I cease to work, then all these worlds would be put into ruin. I would also be the course of creating unvirtuous population and would destroy all these living entities. ‘Dharmah asya asti iti Dharmee – One who has or owns Dharma’. Sri Adi Sankara says ‘Dharmaan dhaarayati iti Dharmee – He carries Dharma’. He takes full responsibility for the rule of Dharma and supports it all the way. In the Phalashruti to Vishnu SahasraNamam we have ‘Aachaara prabhavo Dharmah Dharmasya Prabhuh Achyutah – Dharma evolved out of culture and Lord Achyuta is the Chieftain of Dharma’. Sri V.V. Ramanujan refers to NammAzhwar Thiruvai Mozhi (4.8.6) – ‘Neri ellaam eduthu uraitha nirai jnanathu oru murthi’ meaning ‘The Lord, a great embodiment of knowledge, expounded the paths of truth’. Dharma is eternal and endless just as Bhagavan is eternal and endless. He is Dharma-Svarupi. Those who follow the path of Dharma reach the fame that is ever-lasting, and those who destroy Dharma end up destroying themselves. ‘Dharmo Rakshati Rakshitaha’ meaning Dharma protects those who protect Dharma by leading a life guided by the principles of Dharma. Bhagavan is constantly engaged in imparting the path of Dharma to His devotees. When Bhishma was about to leave his mortal body, Bhagavan took Yudhisthra to His side and asked Bhishma to impart all his knowledge of Dharma to Bhishma’s deserving grandson. This Nama of MahaVishnu should constantly remind us that Bhagavan is there always striving to show us the path of Dharma every step of the way. Sri Satyadevo Vasishta says that Bhagavan is reflecting Dharma all the time constantly to us and this is evident when we see the Sun, the Moon etc. always following their prescribed Dharma without fail. The Sun always rising in the East and setting in the West, the Lunar cycle, etc., are constant reminders to us of this fact. 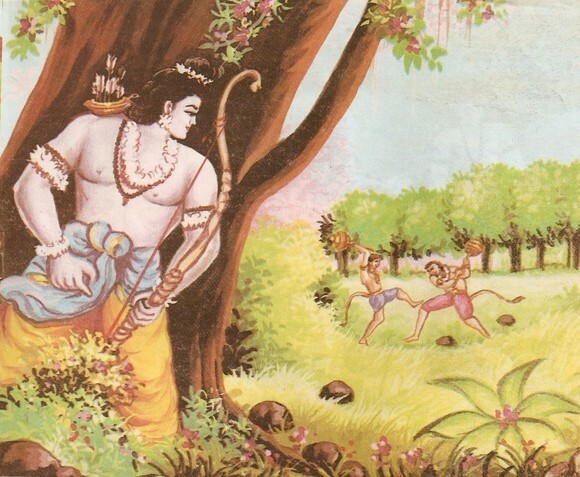 Quite often, it is debated that Rama was unfair in hiding behind a tree while slaying Vali in the epic Ramayana. We will see how Rama had acted in accordance with Dharma though at first it might appear to the contrary. Vali was the Vanara King of Kishkindha, a son of Indra, elder brother of Sugriva and father of Angad. Vali had a boon from Brahma, according to which anyone who fought him in single-combat lost half the strength to Vali, thereby making Vali invincible by his challenger. Once Ravana challenged Vali for a fight while Vali was engaged in his Sandhya Vandanam. Vali picked Ravana by his tail and spun him around. Humbled, Ravana called for a truce. Vali was so brave and powerful that on his approach to pay homage to Surya, he used to toss the mountain peaks upward and catch them as if they were play balls. Tara, one of the Pancha Kanyas was married to Vali. During the churning of the Ocean for Nectar, as per the myth, Apsaras (divine nymphs) appeared and Tara was one of them. Vali who was assisted by the Devas, sought for Tara’s hand and married her. Vali had been known as a good and pious Vanara-King. 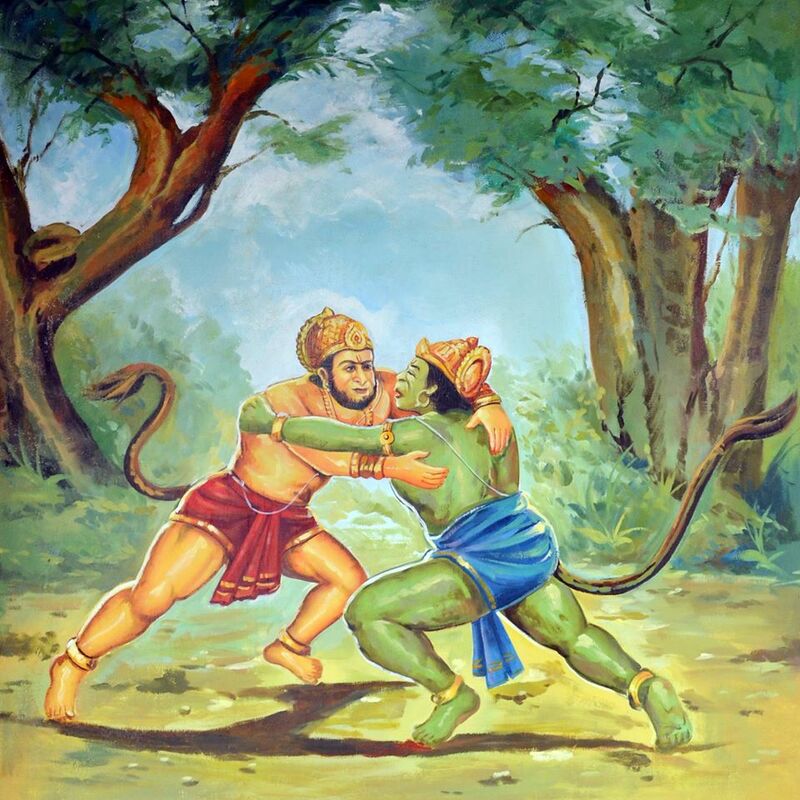 Once Vali was fighting a Rakshasa named Mayavi and despite his brother Sugriva’s advise to give up he carried on. Sugriva had mistaken the blood flowing out of the cave to be his brother’s and blocked the entrance to the cave with a boulder and left for Kishkindha, fearing his brother was dead. When Vali had emerged victorious, he found that the entrance to the cave was blocked. He returned to the Kingdom to find Sugriva ruling in his place. Sugriva tried to explain the situation to Vali, but Vali in his rage did not listen. 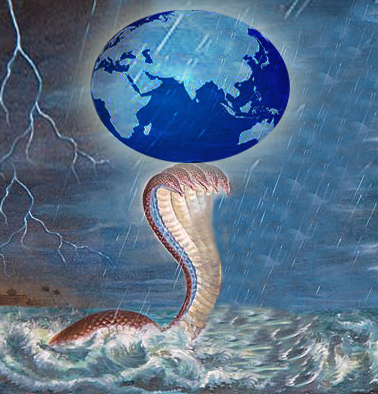 Vali then nearly killed Sugriva, except that Sugriva was able to escape Vali’s grasp and escaped to Rishyamuka Mountain where Vali was forbidden to enter due to the curse of Sage Matanga. Once Vali and a mighty demon bull named Dundhubhi were engaged in a duel, but soon , Vali was able to overcome Dundhubhi. 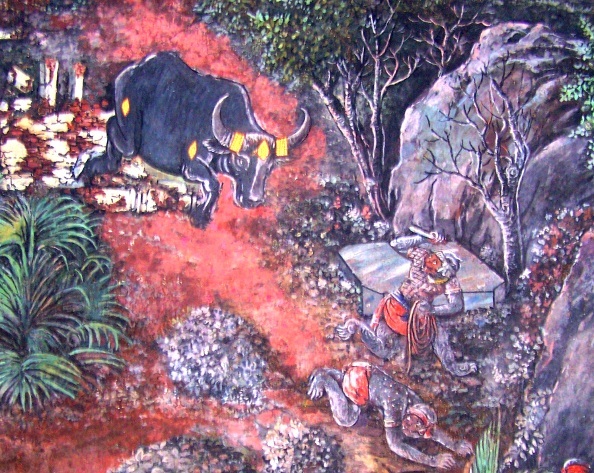 Vali killed Dundhubhi and kicked the body of the demon towards Rishymukha Mountain. The blood clotting body of the demon fell in the ashram of Sage Matanga Rishi in the Rishymukha Mountain. The Ashram became polluted due to this unholy act and Sage Matanga was outraged and yelled a curse into the sky that whoever had desecrated his prayer would have his head explode if he ever stepped foot onto the Rishyamukha mountain where the Sage lived. . Thus, Sugreeva when was chased by King Vali, took refuge in the Rishyamukha Mountain. Sugriva fled into the forest where he eventually met Rama and Lakshmana. Wandering in the forest with his brother Lakshmana in search of Sita Devi, Rama meets Hanuman and is impressed by his intelligence and skills as an orator. Sugriva tells him the story of how Vali became his enemy. Rama asks Sugriva to challenge Vali and bring him outside Kishkindha. As agreed Sugriva challenged Vali to a fight. When Vali sallied forth to meet the challenge, the first time Rama is unable to distinguish between the two brothers and is unable to strike. An angry and wounded Sugriva retreats and confronts Rama. After Rama explained that He could not distinguish between the two, it was agreed that Sugriva will have a distinguishing feature to differentiate him and so he wore a garland as identification. 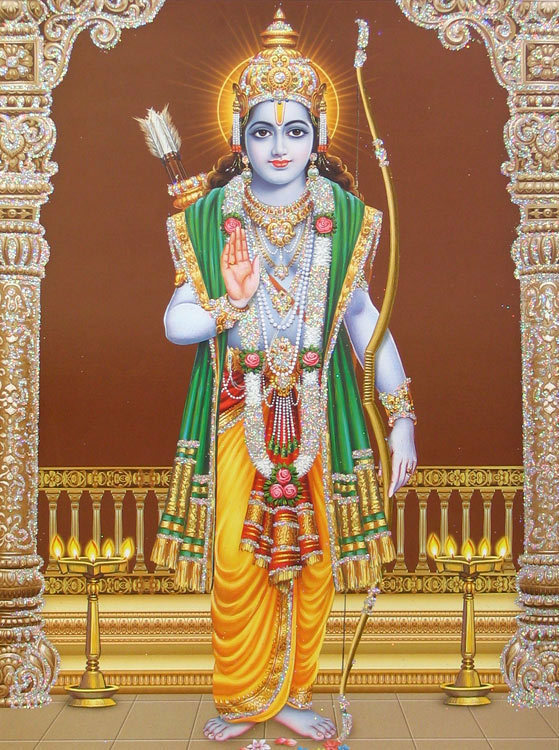 The next time, Rama emerged from behind a tree in the forest and killed Vali with an arrow. A dying Vali told Rama, “If you were searching for your wife you should have come to me for help and friendship. 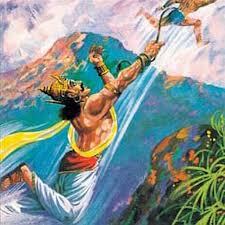 Whoever took Sita, be it Ravana himself, I would have brought him to your feet, to your mercy. He made my wife as widow and took my kingdom. What was my crime? Even if I committed a crime (with my brother), what is your right to kill me? The third argument he quoted how great Kings hunted animals in the past. In fact, Vali was a Vanara and not a Human and a hunting King does not care whether the animal was cautious or not. A monkey is called Saka-mrga because it jumps from branch to branch. When a Kshatriya hunts, he doesn’t go in front of the animal but targets the animal by hiding and shoots. After death of Vali, Sugriva recaptures his kingdom and regains his wife Ruma. Angad, the son of Vali and his wife(Tara), is made Yuvrajor second in command. 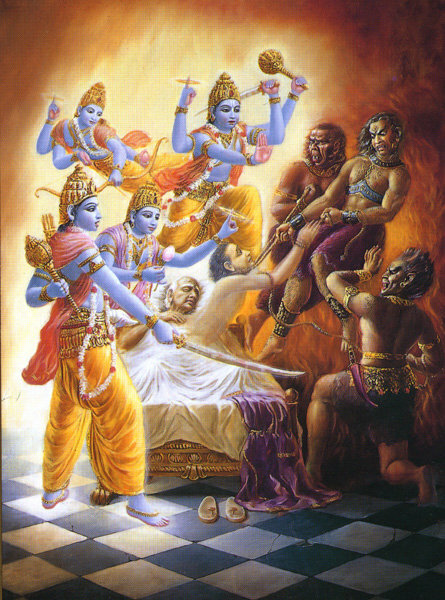 Rama’s slaying of Vali had a special significance. At the beginning, Vali argued with Lord Rama, why He had to kill him in a cowardly way. As Rama explained to him about the various purusharthas, Vali was convinced and asked his son Angad to stand by his uncle Sugriva and assist in the divine work of Lord Sri Rama. 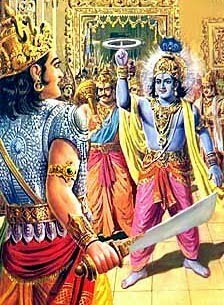 Despite Vali being convinced of righteousness of Rama’s actions, Rama promised Vali to give him a chance to avenge his killing. 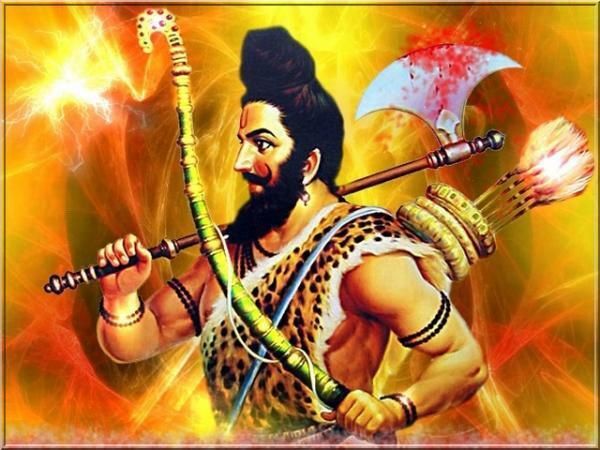 Vali was reincarnated as the hunter and archer Jara in Mahabharata (Dwapara Yuga). Jara was the cause of death of Lord Krishna (the reincarnation of Sri Rama) when he struck his feet by an arrow assuming them to be a deer. The next four Namas are Sat, Aksharam, Asat and Ksharam, which are combined in different sequences by Sri Parasara Bhattar and by Sri Adi Sankara. The meanings they derive out of their different sequences are similar, except that Sri Bhattar treats the Nama Aksharam as an adjective for Sat, and the Nama Ksharam as the adjective for Asat. Thus the Namas according to his commentary are Sat, Sad-Aksharam, Asat, and Asad-ksharam. The Namas per Sri Sankara are Sat, Asat, Ksharam, and Aksharam. The Namas sat and a-sat can be treated as a pair of opposites, and the Nama-s sad-aksharam and asad-ksharam can similarly be treated as a pair. Meaning: From the beginning of creation, the three syllables ‘Om Tat Sat’ have been used to indicate the Supreme Absolute Truth [Brahman]. They were uttered by Brahmaṇs while chanting Vedic hymns and during sacrifices, for propitiating the Supreme. Meaning: O’ Arjuna the word Sat representing the Eternal is designed to signify The Absolute all-pervading Truth. In this way the sound Sat is eternal and is used in all auspicious activities. Being established in the performance of devotional sacrifice, austerities and charity is also described by the word Sat. Also actions performed to propitiate the Supreme Person is also indicated by the word Sat. Sat refers to existence (Sad-bhava), Goodness (Sadhu-bhava), and auspicious or commendable action (Prashaste Karmani). Sri Parasara Bhattar points out that Bhagavan is Sat because He is unconditionally auspicious and commendable, and He is also eternal. Sri P.B. AnnangarAcharya Swami gives reference to Poigai Azhwar Mudhal Thiruvandadi (Pasuram 99) – Ulan Kandaai Nannenje uttaman endru ulan Kandaai meaning that the Lord is eternal and existing in the heart of his devotees. Sri Radhakrishna Sastri points out that in truth, there are two kinds – one is ParamArthika Sat – that which is true in all three time frames (past, present, and future). The other is interpretation of Sat is like this world, which originates in the ParamArthika Sat and merges back into the ParamArthika Sat at the time of Pralaya. Bhagavan is the ParamArthika Sat or Nitya (eternal) Sat. Sri Adi Sankara interprets this as ‘Avitatham Param Bramha Sat – Sat refers to the True and Absolute Bramhan who stands for the one unchanging underlying Reality and Pure Existence’. Chandogya Upanishad (2.1) says ‘Sadeva, Saumya, idam agra Aaseet ekam evadviteeyam – Oh Saumya! This Pure Existence alone was there at the beginning without any other second entity’. Sri Sankara further says ‘Sarvaani bhootaani Ksharam Kootasthah Aksharam – All beings are perishable but the underlying Soul is imperishable’. So Aksharam refers to the everlasting Universal Soul which is present in each being as a witness or saakshee. He quotes Bhagavad Gita (Chapter 15 Verse 16) which says ‘Ksharas Sarvaani Bhootaani Kootaasthokshara Uchyate – All beings are perishable and have a limited span of existence physically but the ParamAtma or the Universal Soul is imperishable, without a beginning and without an end. Sri Parasara Bhattar points out that Aksharam is an adjective for Sat (the previous Nama), and thus gives the current Nama as Sad-Aksharam or Aksharam-Sat. Aksharam means that which never diminishes or decays. Bhagavan is Sat as He does not undergo any diminution over time and is eternal. This is also true of His Svarupa and His Kalyana Gunas. So the meaning of this Nama is – He who is ever existent without decay or destruction. Meaning: He is free from decline, destruction, modification, growth and birth. He can only be spoken of as That which always is. According to Sri Adi Sankara this means ‘Aparam Bramha Asat – It is the apparent reality as it is immediately perceivable, not the underlying Absolute Reality’. He quotes from Chandogya Upanishad which says ‘Vaachaarambhanam vikaaro Naamadheyam – It exists only in the words describing it’. In other words it is superficial and fleeting. It is changeable. It is impure. It is temporary. However, Bhagavan is the Creator of the Asat also. It can also be termed VishnuMaya the illusion created by Bhagavan. Asat is associated with Ksharam, the Perishable and Sat with Aksharam the Imperishable. 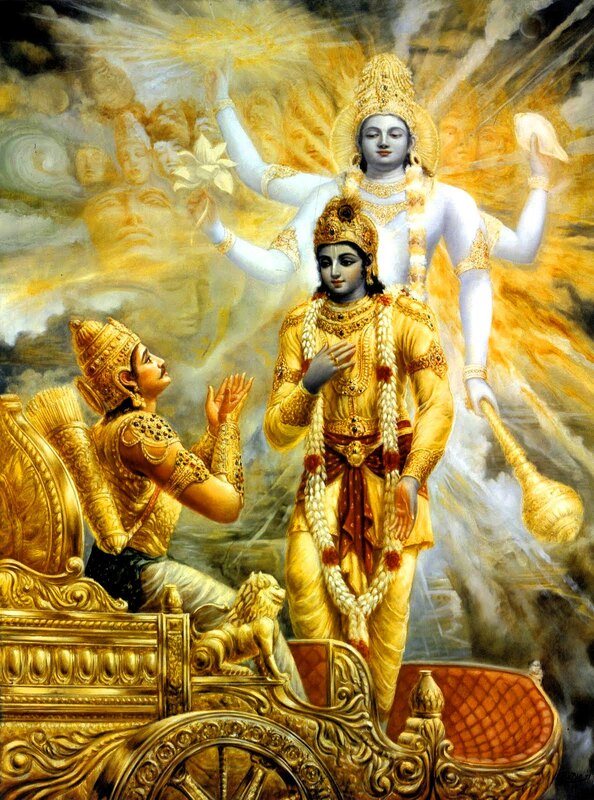 In Bhagavad Gita (Chapter 9 Verse 19), Bhagavan says “Amritam chaiva Mriyushcha Sat Asat cha aham Arjuna” meaning “I am immortality as well as death, O Arjuna. I am the Sat (Existence) well as the Asat (Non-existence)”. Sri Ramanuja Bhashyam for this Nama is, “Sat is that which exists now” (Sad yad vartate). Asat is that which does not exist now but which existed in the past and may exist in the future (Asad yad ateetam ca anaagatam ca). Sri Parasara Bhattar interprets that In the sense of Sad referring to good acts (Sadhu-bhave) as in Bhagavad Gita Verse 17.26. Bhagavan is A-sat as He causes distress to those who do not follow Dharma or engage in sinful acts. He causes this is in the form of the great misery of endless Samsara (cycle of birth and death). Meaning: He is true to those who seek Him with love and non-existent to those who are deceitful or worship him outwardly. In Tirukannapuram surrounded by jumping fish, He is close to those who keep him in their hearts. This is the antonym of Aksharam and refers to the perishable part of all beings. Ksharam refers to something perishable or impermanent. Sri Adi Sankara says ‘Sarvaani bhootaani Ksharam Kootasthah Aksharam – All beings are perishable but the underlying Soul is Imperishable’. In the Bhagavad Gita (Chapter 2 Verse 18) says ‘Antavanta ime dehaah – Bodies are perishable’. Sri Satyadevo Vasishta interprets Ksharam as referring to this Universe (the dynamism associated with it), and Aksharam as referring to the antaryami in everything, which is responsible for all the movement in the Universe. Thus, Bhagavan is simultaneously Ksharam (moving) and Aksharam (the cause of this movement). He illustrates this demonstration of the Ksharam and Aksharam aspects of Bhagavan by a simple day-to-day example – when we walk, one leg is moving while the other leg is stationary. Similarly, Bhagavan is both Kshara in the form of all things moving in the Universe, and Akshara in the form of the AntaryAmi supporting this movement. Meaning: Consciousness acts and acts not, distances do not matter as His omnipresence is in every being to be realised within and experienced. The nature of the Infinite has further been explained as the seer who realises the Atman is unable to articulate but can only give hints and suggestions about the nature of the Supreme. It has to be experienced. Swami ChinmayAnanda gives an example of the concept of Bhagavan being Ksharam and Aksharam at the same time – the waves of the Ocean rise and decay, they are nothing but the Ocean that is non-decaying. So they are both, parts of the same thing. Sri Parasara Bhattar says Ksharam also means something which flows away (Kshar Sancalane – to flow, to distil). 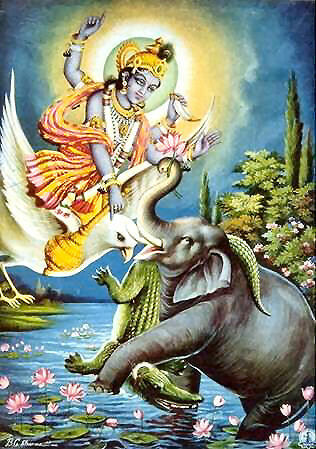 Bhagavan does not associate with the bad and moves away from them, so He is Ksharam with respect to the Asat. 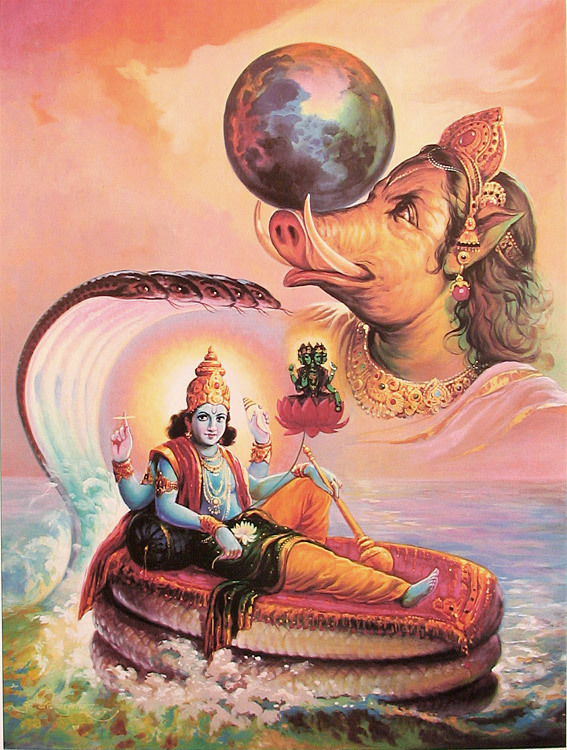 Sri Adi Sankara interprets this as ‘Aatmani Katritvaadi vikalpa vijnaanam kalpitamiti tad vaasana avagunthito jeevo vijnaataa advilakshano Vishnuh – People have the distorted knowledge (delusion) that they are responsible for their own actions etc. He who is above this distorted knowledge is Avijnata’. The purport is that only Bhagavan is responsible for his own action and he properly knows it. Ordinary people who presume that they are the doers are deluded. Only Bhagavan is truly enlightened and the true Doer. Sri Parasara Bhattar’s commentary is that He does not take cognisance of the faults of His devotees. He observes that it is a great commendable quality of Bhagavan that He is willing to forgive and forget the flaws of those who have surrendered to Him unconditionally. 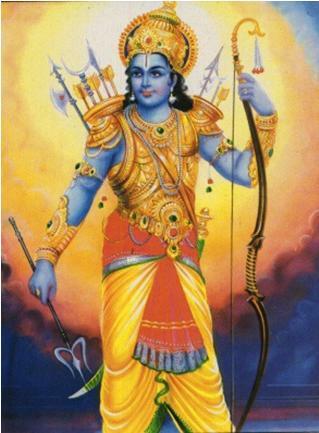 It is said of Lord Rama that He never even responds back to those who speak harsh words towards Him – Ucyamaano’pi parusham nottaram pratipadyate (Ayodhya Kandam 1.10). Sri Bhattar quotes his revered father, Sri KoorathAzhvaan – “Oh Lord! We refute the statement that you are a Sarvajna! It is obvious You are totally ignorant of the faults of your devotees!” – Sarvajnataam evam upaalabhaamahe, tvam hi ajna eva Ashrita-dosha-joshanah. Meaning: Even if one commits the most abominable actions, if he is engaged in devotional service, he is to be considered saintly because he is correctly resolved and properly situated. Sri Satyadevo Vasishta derives the meaning by looking at the word as avi + jnata instead of the traditional a+vijnata. The meaning from ‘Av rakshanaadau – to protect, to do good’ and ‘jnata is One who knows’ to interpret this and One who knows how to protect those who are devoted to Him. Thus it refers to His being Antaryami in everything, His being the Protector of those who surrender to Him. Amshu means ray and Sahasra means thousand (also countless). Hence Sahasraamshuh means the one with a countless rays denoting the Sun. Sri Adi Sankara explains this as ‘Aaditya adigataa amshavah asyeti ayameva mukhyah Sahasraamshuh – He possesses countless rays excelling the Sun in radiance hence He is the real Sun’. Taitreya Brahmana (3.12.9) says ‘Yena Sooryas tapati tejaseddhah – Lighted by His effulgence, the Sun shines’. Sri Sankara also gives reference from the Bhagavad Gita Chapter 15 Verse 12 where Bhagavan says ‘Yadaditya gatam Tejah – I am the One who bestowed this radiance on the Sun’. We also saw in Nama 143 – Bhraajishnuh where He is described as One whose nature is to shine. Sri Parasara Bhattar interprets Amshu as referring to radiating knowledge, and thus Sahasraamshuh refers to One who possesses infinite knowledge. NammAzhwar says in Thiruvai Mozhi (Pasuram 4.7.10) – Mikka jnana Murtiyaaya Veda vilakkinai (4.7.10) – Bhagavan is pure and unalloyed radiating knowledge, who revealed the Vedas to us, and who is revealed to us by the Vedas. Sri Satyadevo Vasishta’s interpretation is ‘Anata jnana ananta prabhashca vushnuh ata Sahasraamshuh -Bhagavan radiates His knowledge and His Tejas everywhere, and hence He is Sahasraamshuh’. Sri Adi Sankara explains this as ‘Visheshena SheshaDiggaja bhoodharaan Sarvabhootaanaam Dhaatrun Dadhaati iti Vidhaataa – He supports the bearers of the Earth such as Adishesha and the 8 Directional Elephants, hence He is called Vidhaataa’. The import of this Nama is that Bhagavan is the cause of all causes and He is the supporter of all. Without his underlying support all other support will break down. Another interpretation of Vidhaata is that He is the Supreme Controller who acts without any assistance from anyone. He is also the Creator of Brahma – Yo Brahmanam Vidhaataati Purvam (Svetasvara Upanishad 6.18). Another way to understand the meaning of this Nama is: The word Vidhasta is derived from the root dhaa – dhaaranaposhanayordaane ca – to put, to grant, to produce, to bear. ‘Vi’ is added to indicate “in a number of different ways – Vividha”. Vidhaata thus refers to One who protects the beings in a variety of ways. A simple illustration of this is the protection of the mother and the child in the womb of the mother by Bhagavan. Meaning: Yama calls his messengers aside and whispered, “If you approach the Bhaktas who worship Sriman Narayana single-mindedly without digression to any other, not only should you leave them alone, but also treat them with courtesy, respect, devotion and leave”. The support for this comes from Sri Vishnu Puranam 3.7.14 – Parihara Madhusudana-prapannaan prabhuraham anaya-nrinam na Vaishnavanam – where Yama declares that he is the Prabhu for all but not for Vaishnavas. The same idea is expressed by Poigai Azhwar in Mudal Thiruvantaadi (55) – Em kon avan tamar, Naman-tamaraal Araayappattu ariyaar kandeer – Yama’s servants don’t go and interrogate the devotees of Sriman Narayana. Sri Parasara Bhattar interprets this He is the Creator of Brahma. Vidha means “division, part, portion”, and Vidhaata means one who apportions, controls, distributes, creates, etc. Sri Bhattar in further interpret this to mean that He is The Supreme Controller. He explains the Nama in the context of the meaning of Avijnata that He gave earlier – Bhagavan ignores the faults of His devotees. Then one can ask the question “what happens if someone else, like Yama for instance, who is impartial in his treatment of everyone for their sins as well as good deeds, punishes the devotees of Vishnu for their sins?” This Nama says that Bhagavan controls Yama and all other gods, and so they won’t punish a Vishnu-Bhakta, and they will inform their servants not to punish a Vishnu-Bhakta in any way. The story of Ajamila amplifies this point. Ajamila was a Brahmana, who lived in the city of Kanya Kubja many years ago. He was virtuous and lived an austere way, was learned in the Vedas and other scriptures and followed the ways of conduct. He was leading a very happy and life and was married to a Brahmin girl. One day Ajamila went into the forest to collect flowers and kusa grass for the days’ worship. While returning, he fell in love with a woman of low virtue and began leading a life with her abandoning his first wife. He was led away by the senses and the mind, leaving behind the scriptures, the study and the observances. He squandered all his wealth and to keep his family happy he began stealing and cheating people. Ajamila had lost all his values. Ajamila had ten sons and he named his youngest son Narayana. Ajamila, was completely besotted by his youngest son. Years passed by, absorbed in his life, Ajamila did not even consider that his death was approaching. Due to advancing age, he fell sick and was in his deathbed, there appeared three fierce looking messengers of Yama to drag his soul from this world. Ajamila did not even recognize the attendants of Yama. Lord’s Nama, whether chanted with or without knowledge of the greatness of the Nama, destroys the unrighteous elements in a person”. Defeated, the attendants of Yama returned to their abode. The conclusion was that although Ajamila was sinful throughout his life and gave up his religious life, he nevertheless was purified from all these sins because he chanted the holy name, Narayana! If this single act of the utterance of ‘Narayana’ can make such a difference, what larger worlds of fulfillment would one conquer by leading a noble life of Dharma in the memory of the Lord, thought Ajamila. At that very moment he renounced and he went to Kashi and engaged himself in austerities and meditation and in due time reached the abode of the Lord. For those who aspire for liberation, there is nothing more powerful than the chanting of the Lord’s Nama. d) ‘Sajaateeya Vijaateeya Vyavacchedakam lakshanam sarvabhaavaanaam Kritam anena iti vaa – He has created the different species with distinguishing marks that identify the species uniquely through external as well as internal distinguishing marks’. He is Krita-Lakshnah for all the above aspects. 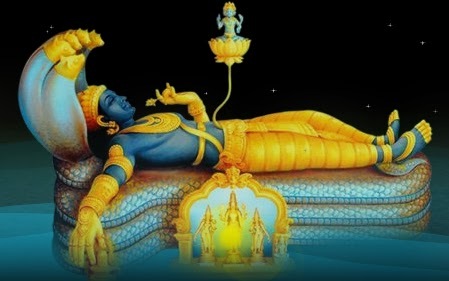 The Phalashruti of Vishnu Sahasranamam says ‘Vedaash Shaastraani Vijnaanam etat sarvam Janardanaat – All the Vedas, scriptures and the sciences sprang from Lord Janaardana’. c) Cakra-ankitaah Praveshtavyaah (Harivamsha 21.24) – “They who bear the mark of the discus on their bodies”; This mark is to be cherished by a Vishnu Bhakta just as a chaste woman cherishes her Mangal Sutra while her husband is alive. 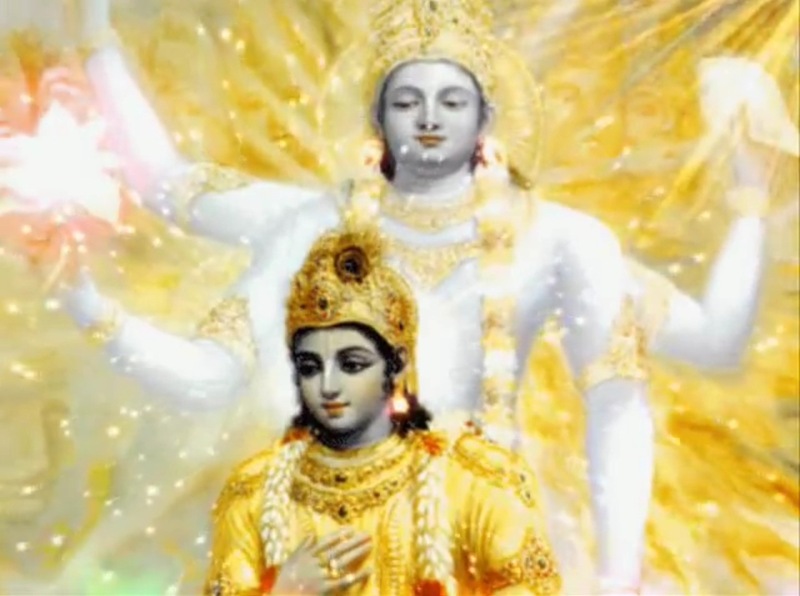 The Dharma Chakram writer points us to Bhagavad Gita Chapter 12, Verses 12 to 20, where Lord Krishna has laid down the Lakshanas that define His Bhakta starting with Adveshtaa Sarvabhutanam…, and ending with Sraddadhaana mat-parama bhaktaaste ateeva mama priyaah. Swami ChinmayAnanda points out that Bhagavan is Krita-lakshanah since He distinguishes Himself through the six attributes – Jnana (Wisdom or Knowledge), Aishvarya (Sovereignty), Shakti (Energy), Bala (Strength), Veerya (Valour) and Tejas (Splendour or Glory). Sri Radhakrishna Sastri observes that Bhagavan has distinguished Himself through His unique attributes of being Sat, Cit, and Ananda Svarupa, and other aspects such as His AdiSesha Sayanam, Garuda Vahanam, Megha Shyamam, Sankha and Chakra Ayudhas, Pitaambara Vastra etc. Bhagavan is the protector of Dharma and hence He is Dharmagup. He is Dharmakrit as He practices Dharma. He takes full responsibility for the rule of Dharma and supports it, so He is Dharmee. He is commendable and eternal whose existence is never diminished or destroyed in anyway, so He is Sad-Aksharam. He causes misery to those who do sinful acts or do not follow Dharma and moves away from them, so He is Asat-Ksharam. He does not take cognizance of flaws of His devotees who are sincerely engaged in Him, hence He is Avijnata. He is Sahasraamshuh as He possesses countless rays excelling the Sun in radiance, hence He is the power behind the Sun. As Vidhaata, He is the Creator and Supreme Controller. He has prescribed the distinguishing characteristics for the pious and so He is Krita-lakshanah. 11.24 The term ‘Nabhas’ denotes the Supreme Heaven (Parama-Vyoman), which is beyond the Prakrti composed of the three Gunas as established by the Sruti passages such as: ‘That is in the Imperishable Supreme Heaven’ (Ma. Na. U., 1.2), ‘Him, sun-coloured and beyond Tamas’ (Sve., 3.8) ‘The dweller beyond the Rajas’ (Rg. S., 2.6.25.5) and ‘He who is the president in the Supreme Heaven’ (Rg. S., 8.9.17.7). This can be understood as implied in the statement that ‘the form touches the Supreme Heaven.’ It expresses the idea that it is the foundation of all — of the principle of the Prakrti with its conditions, and of the individual selves in all states. It has also been initially declared: ‘For by You alone are pervaded the interspace of heaven and earth …’ (11.20). ‘Beholding Your form shining, multicoloured, and with yawning mouths and large and resplendent eyes, my inner being trembles in fear. I am unable to find support, namely, I am unable to find support for the body. I am unable to get peace of mind and of the senses. O Visnu, namely, O Pervader, beholding You pervading everything, incomparable in magnitude, extremely wonderful and terrible, I find my limbs quivering and my senses agitated.’ Such is the meaning. Balaji Sir’s explanation is thought provoking; Alwar in one pasuram says that the Lord appears in Four colors in the Four yugs. In Krutha yug, He appears in White color, in Treta yug in Red, in Dwapara yug in Green color and in Kali yug in Black color. 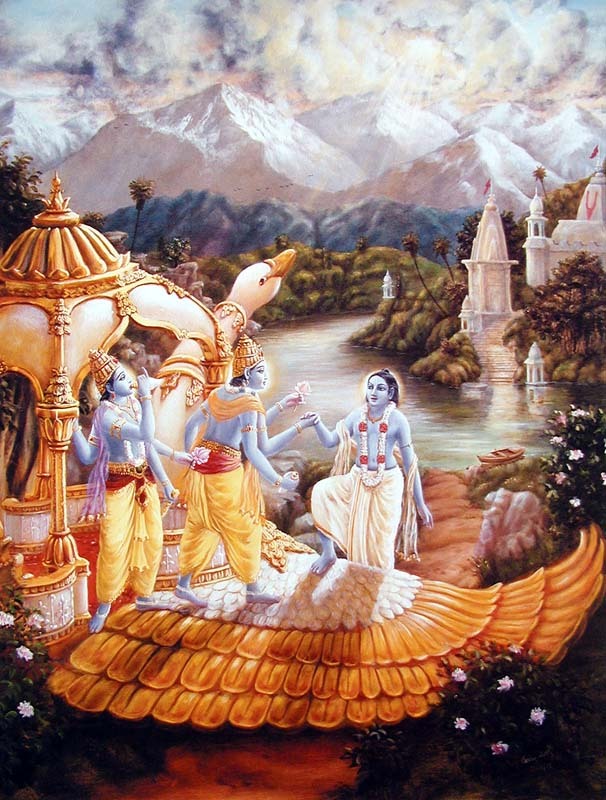 The Lord appears in the color His devotees desire. In the sloka 24, the colors of the Lord are mentioned. At the temple of the Lord Sri Pavalavanna [ஸ்ரீ பவளவண்ணர்] in Kanchipuram, the Lord displays the Red color of pavalam [பவளம், प्रवळ, coral]. Brighu Maharishi,, Aswini Devas and other sages prayed to see the Lord on pavala vannam [coral color] and accordingly, the Lord is gracing here. Pillai Perumal Iyengar composed ashta prabhandam and one pasuram for each of the 108 Divya desams. He says the Lord appeared in White color like butter; black color like rain bearing clouds; green and Yellow mixed color; and, red like coral. Awesome art and post, thanks for sharing :)! Another explanation from Acharyans in Upanyasams. on Krita Lakshanah- Krita-lakshanah -One who is famous because of six qualities, such as glory, righteousness, fame, wealth, knowledge and detachment. Again following the Puranic literature, Sriman Narayana is the one who made on His own bosom the great mark of the feet of Maharshi Bhrigu. In fact from the standpoint of pure Vedanta, the term indicates the Ever-existing Pure Consciousness which is the very goal (Lakshana) to be ultimately achieved for liberation. Lakshana also means the scriptural textbooks and, therefore, the term also can mean He who is the author (Krita) of the Scriptures (Lakshana). The Shad gunas have been covered under Swami Chinmayananda’s commentary. “Aksharam is Imperishable; Bhagawan is that substratum upon which the changing movie screen of life is being projected. It is this Aksharam that we do not see, cannot see, but which we may know by looking beyond the Kshara front. For example when we see a beautiful Kangan or bangle, we are so captivated and enraptured by its beauty that we get involved in its outward appearance; We fail to notice the gold that is responsible for holding it together. Most of the occasions, a normal human being forgets the Akshara purusha behind, who enabled the success by providing all that was necessary. Since the world depends on other things for its existence, it is Kshara. But inherent in the world is Bhagawan as the Aksharam, which causes the changes. So climatic changes, political changes, population changes, peace changes, war changes, changes in prosperity, food, water… all these happen against the Akshara Bhagawan. Thus while things change, the factor that supports the goings on of change, an entity that recognizes the change. This entity is Narayana, Akshara. (2) Also a simpler meaning for the Loukikas given by the Acharyans for the Isavasya Upanishad verse us- It moves; It does not move; It is far; It is near too; It is within everything. It is outside everything! 3) This verse from Isavasya Upanihad so rightly quoted by you is also used to explain the Karma Kanda theory espoused by Surdas in Ram charita Manas. A pot of well water is immersed in a ocean. The water inside is well water and outside is ocean’s salt water. When the pot breaks, there cannot be different pot water and ocean water, a two entities. If the gold is removed there will be no bangle. The Existence in all things and beings is the same ever, and it is All-pervading. The sun exists; the space between the sun and the earth exists; the ocean and the creatures therein exist; the physiological organs and their functions, mind and its activities, the intellect and its agitations -all exist. This consistent and Ever-present Principle of Existence is Sriman Narayana. One who has all these natures is called Sat-Purusha. Thank you Vasudevan ji for your elaborate comment and vyakhyana from Mukkur Azhagiyasinghar. Much appreciated. I will enhance the commentary on Sat as suggested.